Following his highly successful career in the 2nd Battalion The Queens Regiment, Ian Winfield has applied the attention and detail he learned in the army to whichever business he has been associated with, including the transformation of Oldencraig Equestrian Centre in the South East of England into one of the top five dressage competition and training establishments in the world. Ian’s quest for perfection led to Oldencraig being voted the 'Best Show Centre' by British Dressage magazine for a number of years and the main house at Oldencraig was awarded top five status by the Daily Telegraph for its décor and outstanding facilities which is testament to Ian’s extraordinary talent for property development. 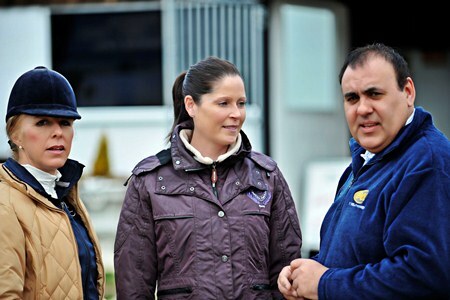 The dedication to detail, quality and experience for horse and rider is to this day extraordinary. Ian is an entrepreneur, an inspirational businessman and a no-nonsense guy who will only accept the best and that is what you can expect if you employ his business consultancy services. Ian has over the past few years helped to develop five star facilities in many outstanding, international locations including Dubai, Oman, Hong Kong, United Kingdom and Ireland. Ian is available to consult to businesses and individuals focusing primarily in the Equestrian and Leisure industries. Ian’s philosophy is to work with Clients to add exceptional value to their organisation, development or property and implement changes that make a measureable and long term difference. His approach is based on years of experience and success which has continued to achieve excellent result for him and his Clients. Ian’s Clients include Palm Beach International Equestrian Centre, Centennial Parklands Equestrian Centre, Arrezo Equestrian Centre, The Hong Kong Equestrian Centre; (click here to view related article), Gleneagles Equestrian Centre and Castle Leslie - Northern Ireland. To reach your objectives and to benefit from Ian’s wealth of knowledge, creativity and attention to detail: contact Ian at info@oldencraig.com for an initial consultation and quotation, either on a project by project basis or for a more long term consultancy role. Full references and personal introductions available on request.